Stanford top row (l-r) RB Tyler Gaffney, LB A.J. Tarpley, LB Shane Skov. MSU bottom row (l-r): QB Connor Cook, RB Jeremy Langford, DB Darqueze Dennard. The Cardinal, 11-2 overall, feature a hard hitting ground attack behind a stalwart offensive line and Tyler Gaffney, who rushed for 1,610 yards and 20 touchdowns. Stanford is known for their defense, which features nine returning starters from last year's team. Stanford is making its second straight Rose Bowl appearance; it beat Wisconsin, 20-14, last year. The Cardinal is making an appearance in their fourth straight BCS bowl game. They won the Pac-12 title with a dominating 38-14 win over Arizona St. on December 7. The Spartans, who are making their first BCS bowl game appearance, won the by defeating Ohio St., 34-24, on December 7. They went undefeated in Big Ten play and come into the game with a 12-1 overall record. They are quite similar to Stanford in that they like to run the ball. They also are similar to Stanford on the defensive side of the ball. Senior Darqueze Dennard was named a first-team All-American and won the Thorpe Award as the nation's best defensive back while sophomore end Shilique Calhoun was honored as the Big Ten's top defensive lineman. Click here for the full ESPN game preview. Grab some snacks, some drinks and plan for an afternoon of great football. 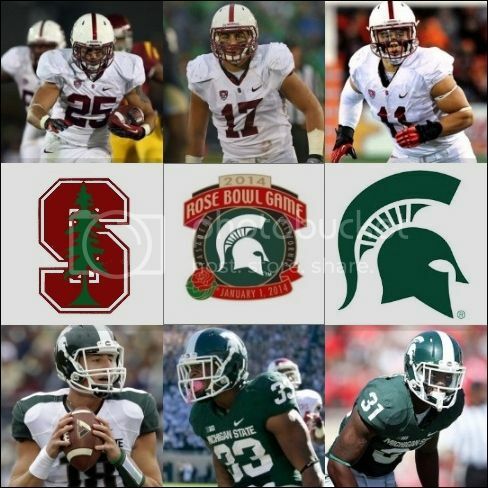 It is Stanford and Michigan St. in the 2014 Rose Bowl. 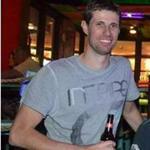 Tell us what you think about the teams and the game. I'm really looking forward to this game. Two teams who play football old style. 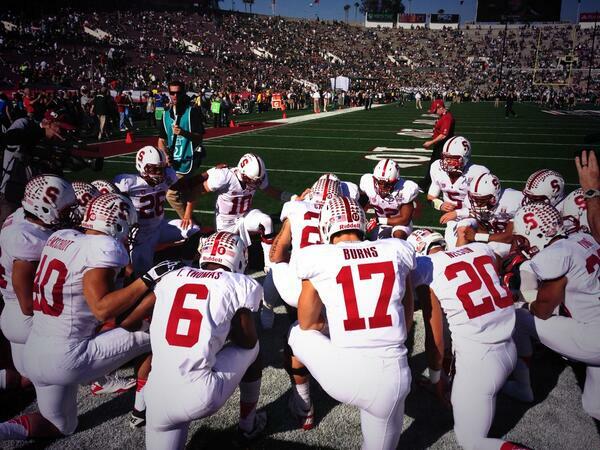 Stanford huddles up for a team meeting, moments ago, via twitter. we just got to the stadium! can't wait until kickoff! I'm going to try to watch the game while "working" so I'll try to stick around for some game chat. Should be a great game!!! Be sure to jump in as much as you can! I'll leave this open in the background and will keep checking back in. MSU won the toss and deferred. Stanford will get the ball first. It is my new phrase! Here we go. Stanford needs to win the battle in the trenches. Nice deep pass from Hogan to Rector.